In the United States they have been unearthed in Virginia and New York state, Michigan, Illinois and Tennessee, Arizona and Nevada. 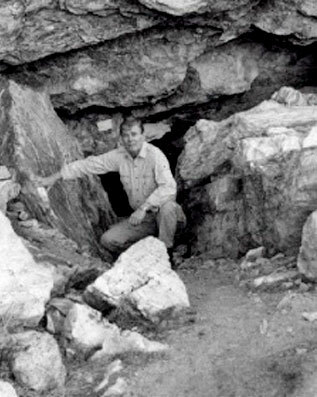 And it's the state of Nevada that the story of the native Paiute's wars against the giant red-haired men transformed from a local myth to a scientific reality during 1924 when the Lovelock Caves were excavated. It's a very old cave that pre-dates humans on this continent. In prehistoric times it lay underneath a giant inland lake called Lahontan that covered much of western Nevada. Geologists have determined the cavern was formed by the lake's currents and wave action. The Paiutes, a Native-American tribe indigenous to parts of Nevada, Utah and Arizona, told early white settlers about their ancestors' battles with a ferocious race of white, red-haired giants. 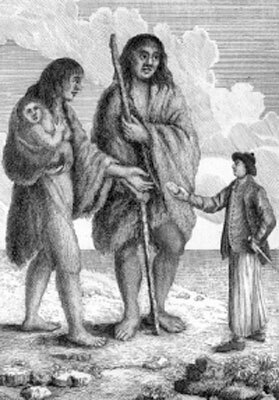 According to the Paiutes, the giants were already living in the area. The tule is a fibrous water plant the giants wove into rafts to escape the Paiutes continuous attacks. They used the rafts to navigate across what remained of Lake Lahontan. 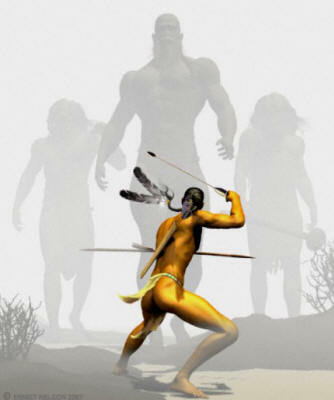 According to the Paiutes, the red-haired giants stood as tall as 12-feet and were a vicious, unapproachable people that killed and ate captured Paiutes as food. The Paiutes told the early settlers that after many years of warfare, all the tribes in the area finally joined together to rid themselves of the giants. over 10,000 artifacts were unearthed including the mummified remains of two red-haired giants - one, a female 6.5-feet tall, the other male, over 8-feet tall.